Hardwood floors have been the preferred choice for many home owners over the past 50 years and even longer. For a time carpeting and parkay flooring or laminates provided a lot of competition. 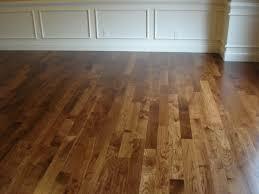 However hardwood flooring remains the top choice of many home owners. There can be a considerable investment in flooring. 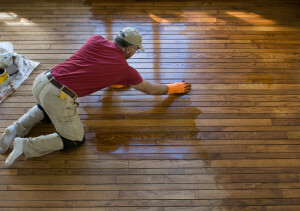 Most people will want to protect your hardwood floors so that they remain pristine and last many years. After all you spent thousands of dollars installing hardwood floors in your home, so why not make it last even if it is just for resale value. There are a number of steps you can take to protect your floor and they are all easy common sense things to do. Here they are. Murphy’s oil soap is great for furniture , however if you use it on hardwood flooring it will gradually build up a coating or residue on your floors leaving them looking dull and lifeless. Keep your floors looking shiny and new by using a dry swiffer and vacuum often. Wet Swiffers have chemicals in them which interact with the coating on your hardwood floors. Over time the urethane will break down and not only no longer protect your floor, it will look dull and lifeless as well. Using a dry swiffer is far better as well as vacuuming often. Be careful that your vacuum does not mark your floor also as you drag it across the floor to get at various areas of your home. High traffic areas such as hallways, entrances to rooms and entrances from outdoors to the inside will take their toll on your hardwood floors. You can protect these areas simply by placing area rugs on the floors in these spots. Entrances are particularly bad for hardwood floors. Grit and sometimes water will be tracked in and will quickly damage your floor if not protected by a rug or mat of some kind. Kitchens and entrance areas are particularly bad for water to get on your floors. You can protect your floor with mats or area rugs. Many people will avoid using hardwood in these areas for that reason alone. But if you do have hardwood in your entrance area for example, you can prolong the life of the floor for many years by protecting it with a mat for people to step on when they come in from outside. Same thing in the kitchen around the sink or the stove. These are typical areas were water and other liquids are spilled. Protect these areas with small mats that compliment your decor. Moving furniture is always tricky. The best plan is to carry it so that it does not touch the floor. If you cannot carry it, use felt pads or a clean rug to slide it along the floor. Make sure your floor is clean and void of all grit or packaging material. Even small pieces of grit or staples from the packaging can dig gouges into the floor leaving unsightly marks. We added a bonus step to protecting your floor! All furniture supported by some kind of foot, is going to leave a mark over time on your floor. the best way to protect your floor is to place felt pads under the feet of all chairs, couches and tables so that they will not mark your floor. these pads can be purchased in various sizes and some are also adhesive so that they will stick to the bottom of a chair when you move the chair around. All of these 5 steps including the 6th bonus step are easy to implement and will protect your floors for many years, while maintaining your investment as well as the resale value of your home. They are inexpensive and easy to add. Also the various area rugs you put in place will add to the decor of your home as well!